At Trapp & Geller, our attorneys have more than 30 years of experience in representing our clients that have been injured in any type of accident. Trapp & Geller handle all personal injury cases including catastrophic injury cases, wrongful death cases, car accidents, CTA and Bus accidents, Medical Malpractice, Construction Accidents, Dog Bite Cases, Slip and Fall Injuries, Dental Malpractice, Bar Fight Cases, Negligent Security Cases, Nursing Home Negligence, Bed Sore Cases, Worker's Compensation Cases and any other type of injury. We have earned hundreds of millions of dollars on behalf of clients and their families who have been affected and make certain that you receive maximum compensation for your injuries. Through our dedication and zealous representation of our clients and excellent results, Trapp & Geller has been recognized for the services provided. Since 2005, Chicago Magazine has listed Jamie M. Trapp in Illinois Super Lawyers - a distinction based on peer review, acknowledging him as among the top personal injury attorneys in Cook County and Illinois. n 2013, Jamie M. Trapp was named by the Chicago Tribune as one of the leading personal injury attorneys in Illinois. 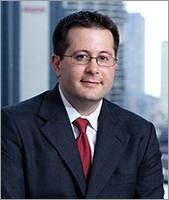 In 2014, 2015 and 2016, Jeremy L. Geller was named by Chicago Magazine as an Illinois Super Lawyers Rising Star - a distinction based on peer review, which is limited to only 2.5% of attorneys in the State of Illinois. Trapp & Geller has been awarded an AV Preeminent rating by Martindale-Hubbell, the leading law directory in the United States. This is the highest ranking an attorney can receive for ethics and professionalism. The firm settled numerous million-dollar cases including a $12 million settlement on behalf of a newborn in a medical malpractice case, a $3.75 million settlement for a worker at a construction site who was struck by a falling pole, a $1.25 million settlement for a construction worker injured after falling at a work site, and a $1 million settlement for a railroad worker injured at a Chicago rail yard. Our cases have been featured on television and in newspapers: WGN, NBC, CBS and ABC and in the Chicago Tribune, Chicago Sun-Times and Chicago Lawyer, as well as numerous national law-related journals. Over a 30-year history, the firm has obtained hundreds of millions on behalf of our clients for their injuries. There is no out of pocket cost for our services. The attorney fee is contingent upon Trapp & Geller winning your case. We only get paid if we win your case and get you money. We are paid directly from the proceeds of the case.